» How Can I Use My Financial Aid? 1. 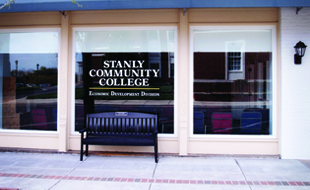 Have you received an award notification (letter or email) from the Stanly Community College’s Financial Aid Office? No - Check your Self-Service account to see if an award is listed under Financial Aid. If not, contact the SCC Financial Aid Office to determine if we have received your record and if additional documentation is needed. No award means NO financial aid available. Yes - Your financial aid award is in place and the SCC computer software recognizes that you have funds available. 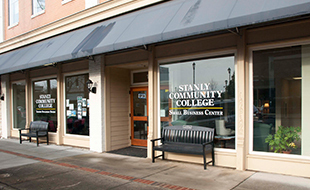 This does not mean that SCC has physically received your award amount from the Dept. of Education but rather that you have funding in place to be used for tuition, fees and book charges. 2. Available financial aid funds will first be used to cover the semester tuition and fees. Note: You are ultimately responsible for tuition and fees. There are times which you may not be eligible to access your financial aid funds. 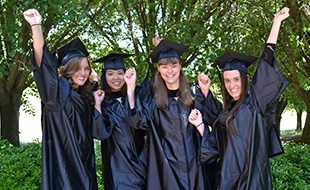 For example: if you are in a Special Credit program of study which is not eligible for Pell Grant funds; or the class(es) for which you registered are not in your current program of study; or you have defaulted on a loan; or you are not eligible based on Satisfactory Academic Progression Standards. 3. Financial aid funds (after tuition and fees) can be used at the SCC bookstore to purchase books and educational related supplies. There is no requirement to use the SCC bookstore for purchasing books. If you choose, you are able to charge books approximately 7 days prior to the start of classes. Check the Financial Aid calendar (which is available online at www.stanly.edu - current students - financial aid) for charge dates. 4. Refunds are available if after the tuition, fees and any book charges have been removed form the award and there is a remaining balance. Refund checks are available approximately 30 days after the start of the class(es)*. The refund checks are available on the disbursement date and will be mailed that afternoon to the address on record, if not picked up. Currently SCC does not have a direct deposit option available. *Disbursements of financial aid will be based on your enrollment status as of the 10% point of the semester regardless of class start dates. Exception: Students who begin classes after the 10% of the semester, i.e. 12-week or second 8-week classes, will be receive their financial aid award based on their enrollment at the time of refund processing.